Don’t let the ins and outs of maintenance and visitation scare you. You fall in love. Maybe you get married, maybe you don’t. You create life together, and a beautiful child is born. For whatever reason, though, the relationship with your partner does not work out. You split up. But beyond the emotional repercussions of a family splitting up, there is one more element that is – most often – the primary Maintenance for mothers source of massive contention between parents who have gone their separate ways: money. As difficult as it may be to put aside your emotional heartache or anger towards each other, it is vitally important that parents put their children first, at every step. Perhaps he cheated. Maybe you did. Maybe you just don’t love each other anymore. Maybe you’ve both reached the end of your tether. The reasons why you are splitting up have nothing to do with your children, but how you split up has a lasting effect on them. 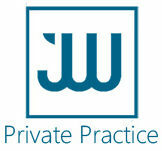 It is important to note that maintenance and access are treated separately in terms of South African law. This means that both parents have a right to see their children whether or not maintenance is paid. It also means that one parent cannot withhold access to the child or children because maintenance has not been paid. When a divorce is finalised in court, part of the court proceedings will centre on the creation of a parenting plan. A parenting plan should exist whether or not you were married. This parenting plan will outline which parent the child lives with, the amount of time the child will spend with each parent, how maintenance will be paid, how you will go about making major decisions about the child (this can include things like education and how the child will be raised) and how parents will work out any major disagreements. 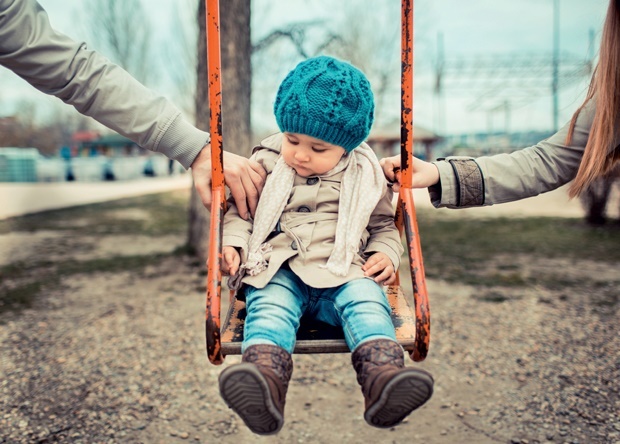 If your parenting plan is part of your divorce proceedings, the court will be able to enforce it, and treat transgressions as a criminal offence. Child maintenance is defined as the legal obligation of both parents to make regular payments to sustain their child or children. This means that both parents have a duty to pay for the upkeep of their child or children. Moreover, if one or both parents remarry, this has no effect on their parental responsibilities. Maintenance is calculated according to the needs of the child or children, and in terms of the parents’ individual incomes. This means that if one parent earns more than the other parent, they will pay more towards the upkeep of their children. Maintenance agreements cannot be changed if one parent remarries, but can be changed if a parent loses their job or other circumstances change. A maintenance agreement will form part of your divorce proceedings and parenting plan. If you were not married, you can set up a maintenance order through your local Magistrate’s Court. Applying for a maintenance order is free, and you do not need a lawyer to represent you. Take along your child’s birth certificate, your identity document and a breakdown of your monthly expenses. If you can, try and include documents that prove your living costs, such as utilities accounts, receipts and other important documentation. The Magistrate’s Court will issue a summons that tells both parents when they need to appear in court to discuss the matter. If parents agree to the maintenance amount, then the court will sign the maintenance order, which means that maintenance must be paid. If there is a disagreement between parents, then there will be follow-up court appearances, which require that both parents give evidence and provide proof of their respective standpoints. Above maintenance and access, and most importantly, successful co-parenting rests entirely on communication. By actively sharing information with each other, both parents will enable easy communication. And it’s that communication and strong relationship that a child will remember forever, not how much money was in the bank. If possible, make arrangements for schools to send academic reports to both parents. By sharing photos, talking openly with one another, and communicating as best you can, you will be laying the foundations for your children to grow up happy, healthy and firmly founded in love. If possible, make it a point to attend parent-teacher meetings together, and both be present for the all-important birthday parties, sports days and other events. Your children will not remember how much you spent on school fees, but they will always remember both their parents’ love. I have saved it and also added your RSS feeds, so when I have time I will be back to read much more, Please do keep up the excellent b.
I just want to say I’m newbie to blogging and really savored your page. Most likely I’m want to bookmark your blog . You amazingly come with remarkable articles and reviews. Many thanks for sharing your website page. There are thousands of blogs that needs talk about them. What is the intention of blog site comments?. Asking questions are in fact nice thing if you are not understanding anything completely, except this post offers pleasant understanding even. I love reading individual blog sites, Mother blogs, etc. What is the best way to discover these sorts of blog sites online? The best approach I have is simply adhering to faves people have – mosting likely to one bloggers “favorites” then the following bloggers faves, and so forth … I’ve attempted Google Blogsearch yet all that offers me is old news articles, and so on. Absolutely nothing individual at all … How do you search for personal blogs?. I will start a blog site. Together with several various other hopeful’s, I want to eventually earn money off it. I observed a lot of sites do not permit you to generate income of google ad feeling as well as points like that. What are some sites I can begin my blog on that particular will allow this considering that it appears to be one of the most profitable means to earn money off a blog site?.